On April 11, the Jazz Ensemble and Jazz Repertory Ensemble will perform at Fine Arts West with special guest Wycliffe Gordon, who will be playing the trombone and singing. 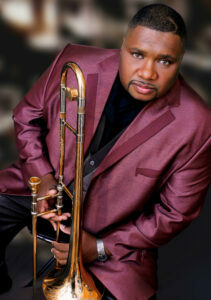 Gordon is an esteemed musician, conductor, composer and arranger. He has received numerous awards, including the 2017 International Trombone Association Award and the Downbeat Magazine “Best Trombone” Award for the fourth time in 2018, according to his website. 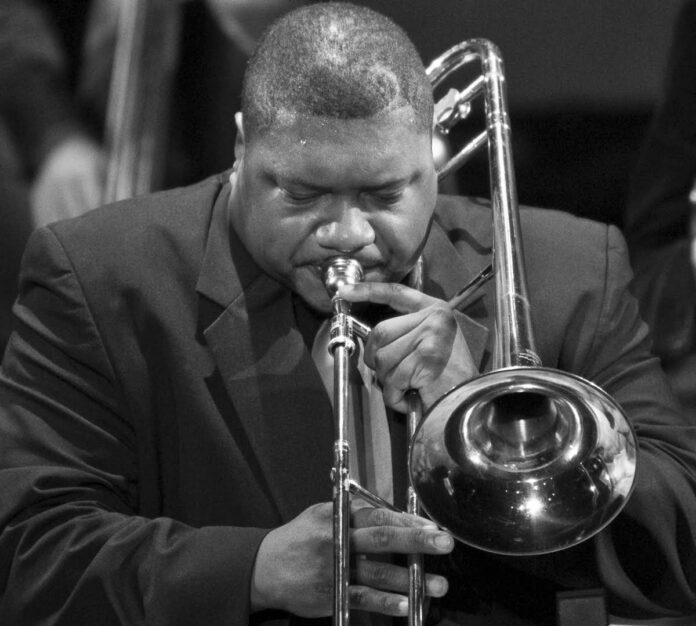 Gordon was a member of the Wynton Marsalis Septet and the Lincoln Center Jazz Orchestra. He has many commissioned works and innumerable other accomplishments. Gordon was born in Georgia, where he found his first role models in life among family members and childhood teachers. “I have role models in some of my friends and the new people I meet each day,” wrote Gordon. Today, he continues to find inspiration in every corner and tube of life. Kris Johnson, Assistant Professor and Director of Jazz Studies at the University of Utah, is an award-winning musician and composer himself. Johnson met Gordon in his senior year of high school when they ran into each other after one of Gordon’s performances in New York City. Gordon was a professor at Michigan State University for two years while Johnson was a student. Today, Johnson is Gordon’s copyist. When Johnson began working at the U four years ago, he took it upon himself to ensure students were getting exposure to renowned musicians. “Since I’ve been at the school, we’ve had quite a few guest artists work with the students, but I’d say this is one of our biggest guests we’ve had,” Johnson said. In addition to performing alongside Gordon, students were able to take a master class from him on April 10. Whether you are an aspiring artist, an avid fan of jazz music or someone who typically avoids such concerts altogether, Gordon’s performance — on April 11 at 7:30 p.m. — is one you won’t want to miss. Tickets are free with a uID.